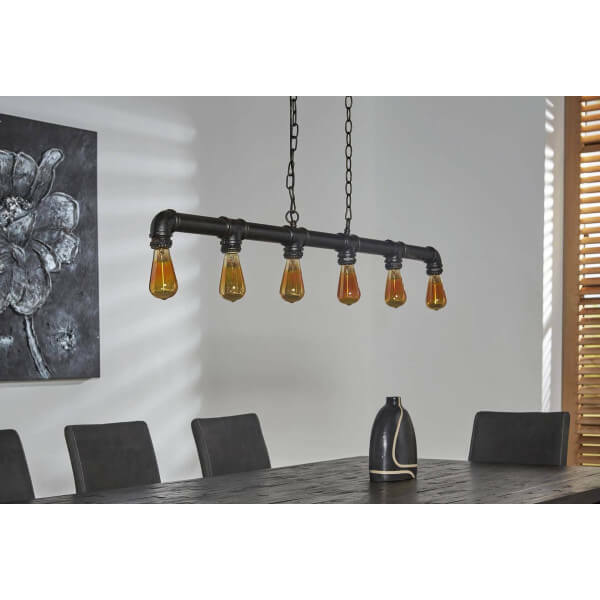 Large suspension composed of 3 bowls connected between it with plumbing pipes to give it an industrial look. 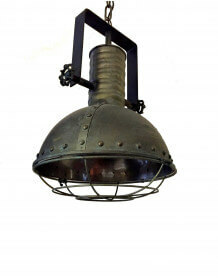 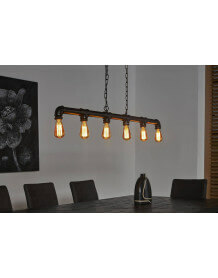 Ideal lighting to place in a loft or warehouse decoration, in a restaurant a bar or above a billiard table for example. 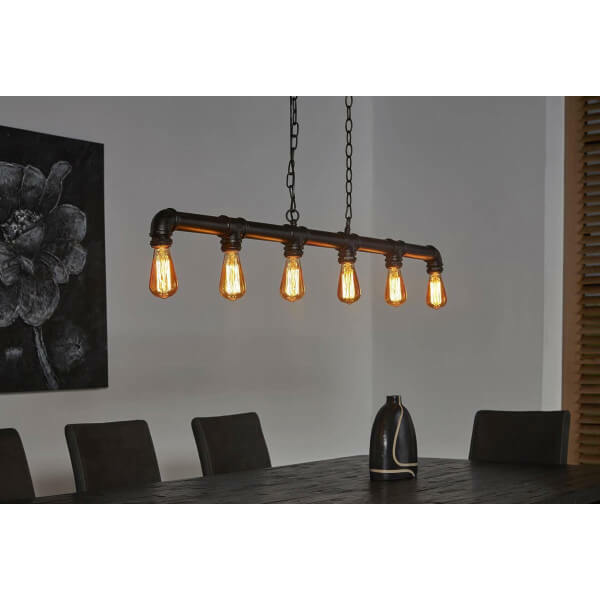 We recommend using a carbon filament bulb for a more warm and retro vintage effect.